1. Misconception: Cutting in flashings is difficult and takes too long. Truth: Cutting in flashings on asphalt shingles is standard roofing practice- it is easy, takes less than 15 seconds, and saves installers money on every install. ProSolar® has made it even easier with its EZ Cut-In Tool and Milwaukee Long Cut Offset Snips (shown: right). 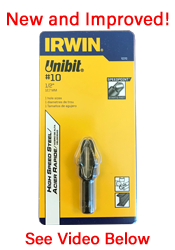 Money Savings: Takes only 15 seconds using Milwaukee Long Cut Offset Snips and saves installers about $100 per 6kW* job, while adding only 6-10 min to the total install time. Sealing: Additional rafter probing holes are sealed by shingle overlap. 2. Misconception: Drilling through concrete tiles is difficult, time-consuming, and cracks tiles. Money Savings: Average cost reduction of about $18 per attachment, saving installers roughly $650 per each 6kW* install. 20 Year Proven Design: TileTrac® has been waterproof tested at a nationally recognized testing laboratory and has never experienced a product failure in its 20 years in the industry. Quicker and Easier: Drilling through the tile is much easier and less time consuming than grinding out the underside of tiles for roof hooks or expensive tile replacements. Safer Installs: TileTrac®'s design allows attachments to be installed at the crown area of the tile, which does not obstruct water flow through the valley of the tile. 3. Misconception: Marking and drilling rail holes is difficult and time-consuming. Truth: The average time to mark and drill is less than 10 seconds per attachment (5 min total for a 6k installation) and can save contractors hundreds of dollars on every 6kW installation. Cost Savings: ProSolar® RoofTrac® Rail's lightweight c-channel aluminum design offers lower rail costs vs. aluminum-intense T-bolt slotted rail designs. The minimal benefits offered by slotted rails are easily negated by their higher costs. ProSolar® even offers black rail at the same price as clear anodized rail. Stronger: A drilled/bolted connection provides superior structural strength and greatly reduced parts and installation costs. The ProSolar® system also uses anti-seize free 5/16" SS bolts (vs. competitors' 1/4" bolts.) Larger bolt sizes are impact friendly, stronger, easier to remove, and less likely to seize. Larger bolt sizes do not require installers to manually coat threads with anti-seize. Time-Tested Design: While competitors continue to change their rail and clamping designs, ProSolar®'s patented rail and clamping system has never had a product failure or a major product redesign. TileTrac® Compatibility: TileTrac® is only compatible with ProSolar® rail. The ProSolar® rail mounting system was designed and engineered to work with TileTrac®. When used with ProSolar®, loading is symmetrically centered under the rail, as opposed to being offset when used with an "L" foot. ProSolar®'s design, along with its patented channel nut (which offers 10x the contact area of a T-bolt) offers superior strength and rigidity to the TileTrac® stud. Easier Wire Management: RoofTrac®'s open channel design allows for nesting of wires inside the rail and minimizes the need for wire management clips. Truth: Rooftop debris is not limited to ProSolar® installations. All installations deal with debris from rail trimming, conduit cutting, copper wire clippings, etc. Luckily, debris from rooftop drilling and cutting can be easily cleaned up in seconds using a small cordless vacuum. 5. Misconception: TileTrac® does not come with a subflashing. Truth: TileTrac® includes a low-cost, easy-to-install sub-flashing in every box. The TileTrac® subflashing installs in less than a minute using Eternabond®/Chem Link underlayment sealant tape. 6. Misconception: ProSolar® system requires external grounding clips for module to rail installations. Truth: ProSolar®'s UL2703 Pre-Assembled Self-Bonding Mid Clamps and Rail Splice assemblies are self-bonding (indicated by green lock washer) and do not need external grounding clips. 7. Misconception: ProSolar® clamps cannot be installed mid-rail. Truth: Installers have always been able to insert clamps mid-rail using pliers. By installer request, ProSolar® has also developed the RoofTrac Rail Spreader as a dedicated tool to make inserting/removing clamps and channel nuts quicker and easier. ProSolar®'s clamps are also self-standing, which makes it incredibly easy to remove clamps while servicing. 8. Misconception: Using ProSolar rail costs installers a lot of money in extra specialty tools/supplies.